Witchcraft in America "officially" began in 1962 when Raymond Buckland founded the first Wiccan coven in Long Island, having learned the tradition from Gerald Gardner himself in England. Though there could very well have been other practitioners of witchcraft in America before that, it wasn't something you advertised and there aren't really any documents to verify it. Anyway, that means there are about 50 years of history in American witchcraft, and I'm not going to try and cover 5 decades of books published and covens founded. There is a great article at Patheos on the history of witchcraft in America that you can read for a lot more detail. Though witchcraft and Wicca are definitely still minority faiths, and greatly misunderstood by the general public, neither are all that rare anymore. Unfortunately, because we are a non-centralized kind of religious group, there is no big central witch database that we can use to determine how many witches and Wiccans there are in America. Most estimates are in the tens of thousands, but there is nothing even close to hard data on that. Our ways are not always accepted, but there are loads of books easily available in any major bookstore so you can find information without having to look too hard. Websites like the Witches' Voice help keep people connected and you can (hopefully) find covens or other groups in your area. Witchcraft in America may not be out there on every street corner, but its not invisible either. Shops for various witchcraft supplies have popped up all over, and most people have access to at least one within a reasonable drive. In terms of official groups or organizations, there are a few that are still operating to help bring witches and Wiccans together or simply to provide information on various Pagan faiths. The Church of All Worlds was the first Pagan group to become an officially recognized church, in 1968. They are still operating. Other organizations include Cherry Hill Seminary school, and the Covenant of the Goddess. There are also many different forms of witchcraft around America, not only Wiccan-influenced ones. 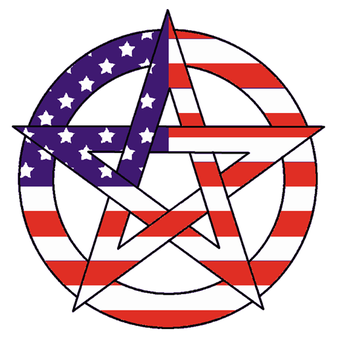 The United States is home to all sort of Druid, Asatru, Hellenic, Kemetic and even Satanic witches. Various shades of witchcraft are practiced around the country. Witches tend to be very individualistic and don't always organize well, so many groups have come and gone over the years in the USA. Even so, access to information is still pretty good for most witches in America.